It’s no surprise that many of us associate Mediterranean food with the climate: summer, sea and sun. And so it’s no revelation that such climate agrees with eating lite: that is, more fruit, more vegetables, less meat. But what happens once winter arrives? Besides the rainy days, the cloudy skies, the longer nights, we crave comfort foods—ones rich in starches and meats—that warm the bitter winter blues out of us. During these chilly months, our craving for warm but weighty foods often leads us to eat less vegetables and more meat. So what’s a chilled-to-the-bone Bostonian to do to stay healthy? Here’s the answer: a Mediterranean winter diet! Below are some comforting meaty and vegetable dishes you’d find in the Mediterranean during winter that Café De Boston also offers. Yes, you can have your comfort food and healthy benefits too. Beans are the new meat in winter. Traditional ways of preparing them are in the form of thick soups such as this lentil soup or roasted beans. Café De Boston’s homemade red lentil soup will warm those chills out of you, fill your need for protein, and energize you without the full feeling. Cruciferous vegetables are rich in nutrients, including several carotenoids (beta-carotene, lutein, zeaxanthin); vitamins C, E, and K; folate; and minerals. They are also known to fight cancer. Cabbage is one of the most powerful cruciferous vegetables. A popular Greek and Turkish winter dish that we make at Café De Boston is cabbage stuffed with ground lamb, rice, & fresh herbs; then served with yogurt and tomato sauce. We eat it once a week during winter to protect us from colds and flus. Our Garden Salad has Boston’s blend greens, tomatoes, cucumbers, red onions and shredded carrots with balsamic dressing. Caesar Salad is made with crisp romaine lettuce, parmesan cheese and homemade croutons and Caesar dressing. And the Greek Salad with Boston’s blend greens, tomatoes, cucumbers, red onions, shredded carrots, black olives, banana peppers and feta cheese with Greek dressing. Our homemade Beef Stew is the best comfort food meal on a cold day. 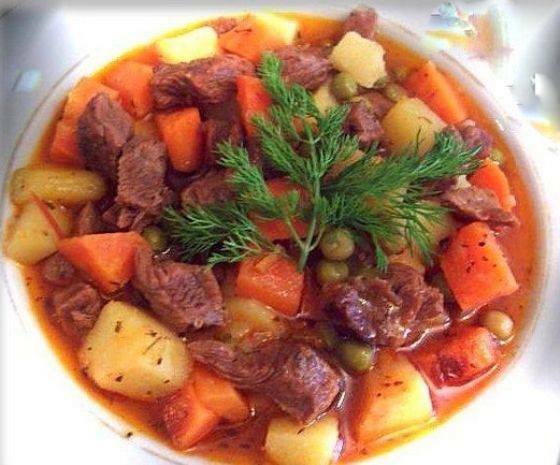 Our beef stew is made with tender fall apart beef and hearty vegetables. A meal the entire family will love. Also the Doner Melt features succulent slow roasted Chicken or Lamb with cheese, finished in a Panini Press. Café De Boston’s mixed Grill Kebab Plate with Chicken, Beef & Lamb is a terrific lunch idea in a winter cold day! Greeks and Turks are known for drinking a lot of herbal teas and strong coffee during the cold months. Some of our favorites include chamomile or our Turkish coffee. These teas are consumed sometimes with a bit of honey.